Cannot get enough action and excitement in your life? Gaming Club mobile casino puts an entertainment powerhouse in the palm of your hand, so your playing never has to be at the mercy of a busy schedule. Take advantage of chances to win real money with us, wherever you are! How do we do it, you ask. Well, neither magic nor parlour tricks are involved. Instead, it comes down to a commitment to excellence, to hard work, to being licensed and regulated by the Malta Gaming Authority, and, not least, to casino games powered by Microgaming. A glowing endorsement by independent online casino regulator eCOGRA is an added feather in our cap. Put yourself in the thick of things on Android, iOS, and other smartphones and tablets. Some players have fallen into the unfortunate trap of thinking that, because it is optimised for smaller hand-held platforms, a mobile casino offers severely limited gaming. Gaming Club proves the opposite is true. If spinning reels is your thing, there are more than enough options to keep you going. In addition to a vast range of licensed and other video slots packed with special features, you can also play those with progressive jackpots, as well as classic-style 3-reel and 5-reel titles. 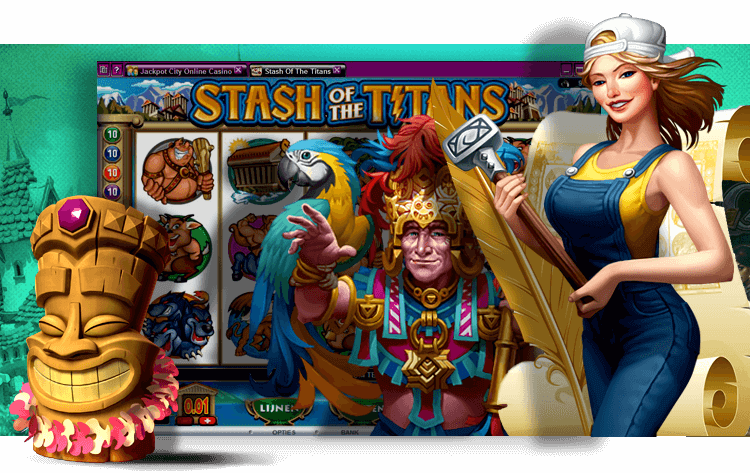 Immerse yourself in the marvels of other mobile casino games that have remained firm favourites for decades, if not centuries. Apart from the phenomenal excitement of playing Baccarat, Craps, and Video Poker, you can also try beat Blackjack dealers to 21 by hitting, splitting, doubling, or standing. Feasting on the international flavours of European, French, American, and other editions of Roulette is another possibility at our mobile casino. Microgaming’s online casino software, fully optimised for mobile devices, offers you nothing less than cutting-edge gaming. Do not be put off by the smaller screens of smartphones and tablets, because Gaming Club’s collection is sure to astound you. The graphics and animations are sharp and smooth, the sound effects and music clear, and the action is sleek. The design of the interface takes touchscreen play as well as screen-size into account. In many cases, you can swipe between gaming and bet settings screens. Enjoy the most convenient winning opportunities available with us. Claim a huge welcome bonus the moment you make your first deposit. Make the most of it, because there are plenty more coming your way in the form of daily, weekly, and monthly promotions. Earn loyalty points when you play slots, Blackjack, Roulette, and other games for real money. Keep an eye on the balance, because you can redeem your points for credits, cruises and holidays, gadgets, and a host of other exclusive gifts. With Gaming Club’s top-quality mobile casino bonuses and games, expecting the highest standards from our banking and other services is a reasonable expectation. You will not be disappointed. Use Visa, MasterCard, Skrill, Neteller, Paysafecard, other credit cards, e-wallets, and prepaid cards, and even bank transfers at our encrypted banking service. Make deposits and withdrawals with peace of mind whenever you need to. If something happens, and you need assistance in getting it sorted, customer support is available. Not only can you speak to a friendly agent via live chat, you can also send an email or call our toll-free number. Experience what happens when a mobile and online casino puts players first. Play at Gaming Club now.